This is the first in a series of internet and technology tips for older adults and seniors. Ancestry.com is the largest private online genealogy database. It allows users to create virtual family trees to trace their lineage, and get "hints" about who else could be their ancestors. It also contains various historical records that can be connected to family members and used as genealogical evidence. 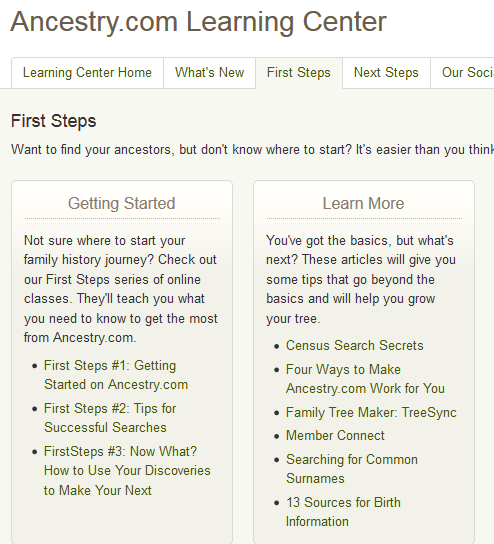 If you're a total newcomer to genealogy, Ancestry.com can help get you started. Their "Learning Center" section is full of tips on how to map your family history, as well as how to use the website itself. If your trail goes cold, Ancestry.com also has tips on how to change up your search criteria so that you might be able to make a breakthrough. Ancestry.com also has guides to help you decipher certain kinds of records, especially if they're in other languages. It's great for beginners or those seeking a refresher on how to dig through their past, and do it right. A good place to start your search for your ancestors is building the beginnings of a new family tree with what you already know. Start with you, and then fill in as much information as you can about the immediate family that surrounds you. Your information doesn't have to be perfect; just enter as much as you know, or maybe even a few guesses. Ancestry.com may be able to help you fill in the blanks later. TechBoomer's Ancestry.com Family Tree tutorial has more information. Based on the information that you put into your family tree, Ancestry.com may give you "hints" regarding historical documents it has that may point you to other potential relatives. Of course, the only way to know for sure whether a "hint" is for real or just a dud is by looking at the hard evidence. Type in what you know about a relative -- their name, birth date, marriage date, death date, living location, a spouse or other relative... even a guess might be of some help! When you find something that you think might be relevant, have a look at the actual record and the information about it. 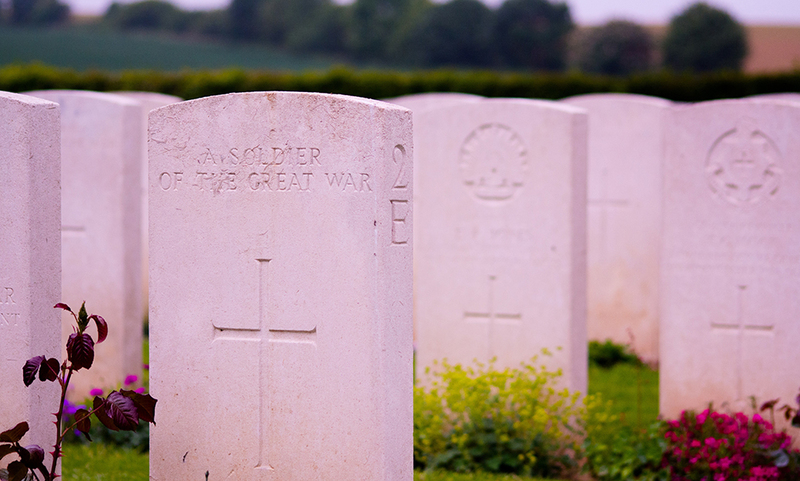 If it strikes you as useful, you can save it to look at later, or even add it right to an entry on your family tree! Click here to see TechBoomer's Ancestry.com Search tutorial for instructions on how to search through historical records. 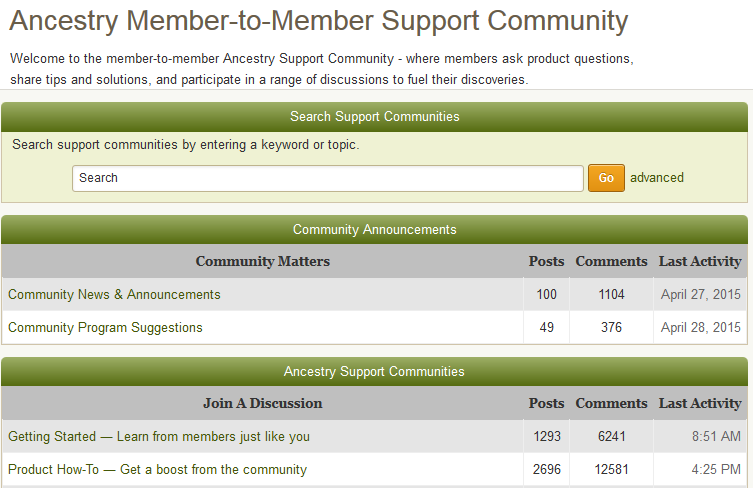 If you're stuck, reach out to the community on Ancestry.com. Someone might be able to give you a hand with using the website, doing genealogical research in general, searching for records efficiently, or deciphering any evidence you've found. If you're looking for something a little more specific, try posting something on the message boards to get help with searching for a relative in a specific geographical area, or a record within a certain database. You can even share and compare your family tree with other Ancestry.com users, and see if they have any information or expertise that help you fill in the missing puzzle pieces of your lineage! Ancestry.com even has a store in which you can buy D.N.A. 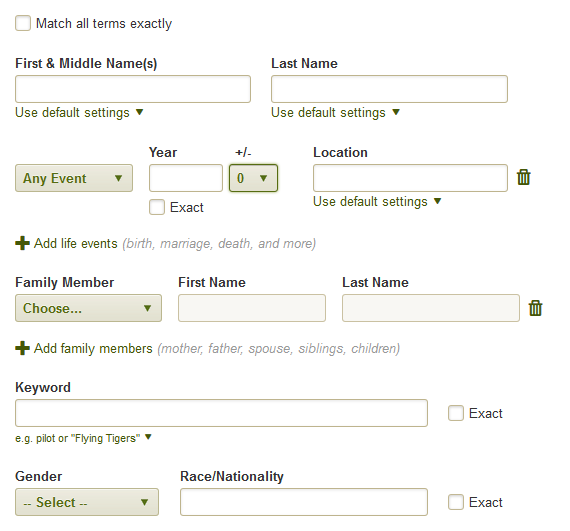 test kits or family tree maker programs, or neat decorative items (such as calendars or posters) that you can use to show off what you find on Ancestry.com. If this sounds like a service that you'd like to try out, work your way through the Ancestry.com tutorial on Techboomers.com. It will teach you the basics of using it to trace your family line. Note: This article was originally published in 2016 with the title Technology for Seniors: Ancestry.com.